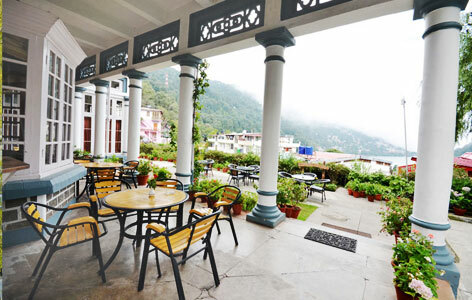 "Palace Belvedere is a heritage property in Nainital where tourists love to stay. The hotel is reconstructed and renovated with utmost attention and care being given in retaining the age-old charms of the palace. The hotel staff makes sure that the guests who stay in here are introduced with the history of the palace and get a chance to live the life led by erstwhile rulers. 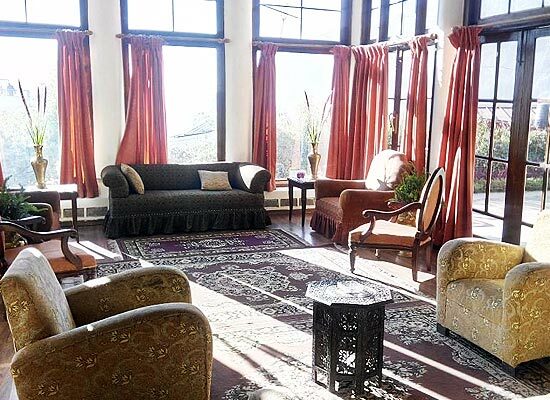 Everyone who comes and stays in this heritage hotel of Nainital is awed by the gracious hospitality given to them by the royal family who owns this property. Palace Belvedere existed as the summer guesthouse for the former rulers of Majestic Rajas of Awagarh. It was constructed in the year 1897 by the legendary Raja Balwant Singh of Awagarh. The Palace offers an up-close and personal insight into the royal lifestyle of erstwhile rulers. Now existing as a popular heritage hotel of India, Century old relics, frescoes and mementos of the royal family are still hanging at every corner of the Palace. 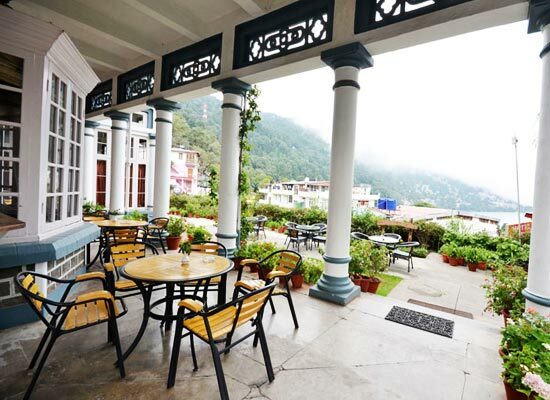 For the accommodation of guests, the heritage hotel in Uttarakhand, Palace Belvedere offers 24 suites and rooms. 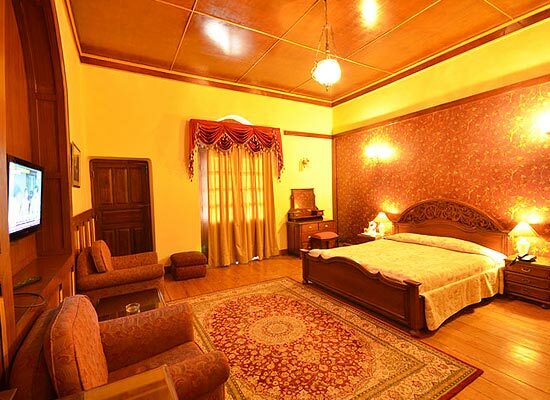 All the rooms are elegantly furnished and exude age-old charms. Though reconstructed and renovated, every room gives a glimpse into the lives of kings who lived here. The rooms are categorized into 4 Garden Rooms, 7 Lake Facing Suites and 13 Deluxe Rooms. All the rooms are flourished with luxurious amenities and services and guests get a seamless blending of tradition and modernity. 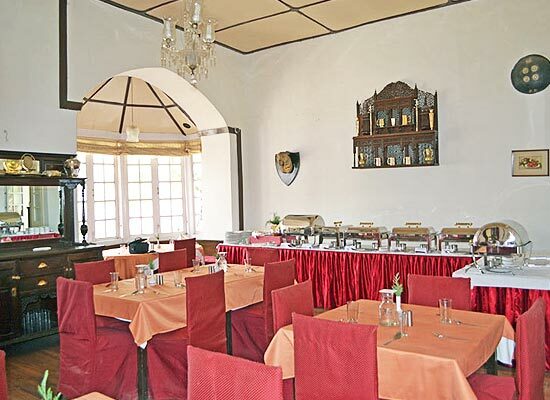 The dining facilities in the hotel include a multi-cuisine restaurant where the guests can order Indian, Chinese and Continental delicacies. On some days, barbeque and Tandoori fares are also served in here. There is also a lounge where guests could simply relax and drink. One of the most popular summer destinations in India, for local and international tourists is the majestic hill station of Nainital. Located in Uttarakhand, Nainital is withour doubt one of the most beautiful cities in the country. At an elevation of 1900 m from the sea level, the climate in the city is very pleasant during summers and gets a little chilly during winters. The city is named after the serene Naini Lake which is a major tourist attraction here. Boating on Naini Lake is a preferred tourist activity in the city. The city is replete with the bounties of nature and hence attracts tourists from all parts of the world. Other major attractions here include Nainital Lake, Khurpa Tal, Mukteshwar, Jim Corbett National Park, etc.